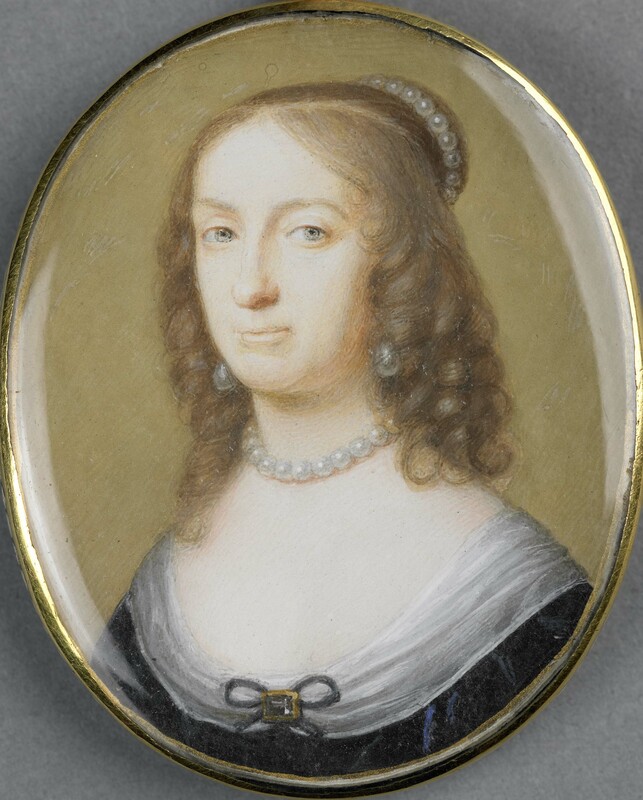 By her death in 1662, Elizabeth Stuart had held the titles of Electress Palatine of the Rhine and Queen of Bohemia, been heir apparent to the crowns of England, Scotland, and Ireland, precipitated the Thirty Years’ War, been fêted as the saviour of continental Protestantism and the virtual reincarnation of her godmother, Queen Elizabeth I, and revolutionised cultural life in the Dutch Republic, her adopted home. Born in 1596 to King James VI of Scotland (later James I of England) and Anna of Denmark, Elizabeth was always a political figure: she was targeted by the Gunpowder Plotters as a potential Catholic puppet queen at the age of nine; seen as likely heir to the throne at sixteen, following the death of her beloved brother Henry; and married amid great fanfare to Frederick V, Elector Palatine, and shortly thereafter crowned Queen of Bohemia at twenty-three. Deposed after barely a year in power, experiencing only one winter in Prague — hence the soubriquet ‘Winter Queen’ — she never relinquished the title, establishing a court in The Hague, from where she and her husband fought frantic military and diplomatic campaigns to regain the Palatinate, their lands in Germany that had been overtaken by the Spanish Habsburgs and the Bavarian Wittelsbachs. Following Frederick’s death in 1632, Elizabeth, an expert and influential politician, lobbied the powerful by letter to support her cause, while seeking to secure positions for her ten surviving (of thirteen) children. She died without seeing her grandson, George I, accede to the throne of Britain. Metadata for the Elizabeth Stuart records were contributed by Nadine Akkerman and Oxford Scholarly Editions Online [OSEO]. The Cultures of Knowledge project would like to thank Nadine for her invaluable contribution of this introductory text. Work to prepare the dataset for upload to the union catalogue was conducted by EMLO Digital Fellows Lucy Hennings, Owen Hubbard, Charlotte Marique, Katherine Morris, and Callum Seddon. The Correspondence of Elizabeth Stuart, Queen of Bohemia, Vol. I: 1603–1631, ed. Nadine Akkerman (Oxford: Oxford University Press, 2015). The Correspondence of Elizabeth Stuart, Queen of Bohemia, Vol. II: 1632–1642, ed. Nadine Akkerman (Oxford: Oxford University Press, 2011). The Correspondence of Elizabeth Stuart, Queen of Bohemia, Vol. III: 1643–1662, ed. Nadine Akkerman (Oxford: Oxford University Press, forthcoming). The Correspondence of Elizabeth Stuart, Queen of Bohemia is the first complete and scholarly edition of Elizabeth’s letters, a corpus of c. 2000 missives, and allows us to trace both her wide network of statesmen, diplomats, mercenaries, and royalty, and also her gradual transformation from political ingénue to independent and influential stateswoman. Elizabeth Stuart’s skills as a writer and wielder of ‘informal power’ make her an ideal glass through which to view the politics of the time: the three volumes that make up this edition demonstrate her position as a key religious, political, and cultural figure, while transforming our understanding of early modern politics. Aretin, Ioh. Chr. von, ‘Sammlung noch ungedruckter Briefe des Churfürsten Friderich V. von der Pfalz, achherigen Königs von Böhmen; von den Jahren 1612 –1632’, Beyträge zur Geschichte und Literatur, vorzüglich aus den Schätzen der pfalzbaierischen Centralbibliothek zu München , 7 (Munich: Kommission der Schererschen Kunstund Buchhandlung, 1806). Baker, L. M., ed., Elizabeth Stuart, The Letters of Elizabeth, Queen of Bohemia (London: Bodley Head, 1953). Bromley, George, ed., A Collection of Original Royal Letters, Written by King Charles I and II, King James II, and the King and Queen of Bohemia: Together with Original Letters Written by Prince Rupert, Charles Louis, Count Palatine, the Duchess of Hanover, and Several Other Distinguished Persons, from the Year 1619 to 1665 (London: printed for John Stockdale, 1787). Evans, John, ‘Unpublished Letters from the Queen of Bohemia, daughter of James I, to Sir Edward Nicholas’, Archaeologia, 37 (1857), pp. 224–43. Fiedler, Joseph, ed., Correspondenz des Pfalzgrafen Friedrich V und seiner Gemahlin Elisabeth mit Heinrich Mathias von Thurn (Vienna: Aus der K.K. Hof- und Staatsdruckerei, 1864). Hauck, Karl, ed., Die Briefe der Kinder des Winterkönigs (Heidelberg: Koester, 1908). Lemberg, Margret, ed., Eine Königin ohne Reich. Das Leben der Winterkönigin Elisabeth Stuart und ihreBriefe nach Hessen (Marburg: Historisch Kommission für Hessen, 1996). Marchegay, Paul, Original Letters to the Trémoille Family, Chiefly from Elizabeth, Queen of Bohemia [Archaeologica or Miscellaneous Tracts relating to Antiquity] (London: Society of Antiquaries of London, 1863). Wendland, Anna, ed., Briefe der Elisabeth Stuart, Königin von Bo¨hmen, an ihren Sohn, den Kurfürsten Carl Ludwig von der Pfalz, 1650–1662, nach den im Königlichen Staatsarchiv zu Hannover befindlichen Originalen (Tübingen: Bibliothek des litterarischen Vereins in Stuttgart, 1902). Akkerman, Nadine, Courtly Rivals in The Hague: Elizabeth Stuart (1596–1662) & Amalia von Solms (1602–1675) [translated as: Rivalen aan het Haagse hof: Elizabeth Stuart (1596–1662) & Amalia von Solms (1602–1675), tr. Sandra Arts-Binnendijk] (Venlo: VanSpijk / Rekafa Publishers in conjunction with Haags Historisch Museum, 2014. ISBN: 9789062167906 [translation ISBN 9789062167791]). —, ‘Cupido en de Eerste Koningin in Den Haag: Constantijn Huygens en Elizabeth Stuart’, De Zeventiende Eeuw, 25.2 (2009), pp. 73–96 [in Dutch]. Reprinted in the exhibition catalogue, Els Kloek, Frans Blom, and Ad Leerintveld, eds, Vrouwen rondom Constantijn Huygens (Hilversum: Verloren, 2010), pp. 76–96. —, ‘Semper Eadem: Elizabeth Stuart and the Legacy of Queen Elizabeth I’, in The Palatine Wedding of 1613: Protestant Alliance and Court Festival [Wolfenbütteler Abhandlungen zur Renaissanceforschung, 29], ed. Sara Smart and Mara R. Wade (Wiesbaden: Harrassowitz Verlag, 2013), pp. 145–68. —, and Paul R. Sellin, ‘Facsimile Edition — A Stuart Masque in Holland: Ballet de la Carmesse de La Haye (1655),’ Ben Jonson Journal, 11 (2004): pp. 207–58. —, and Paul R. Sellin, ‘A Stuart Masque in Holland: Ballet de la Carmesse de La Haye (1655): Part II,’ Ben Jonson Journal 12 (2005): pp. 141–64. Everett-Green, M. A., Elizabeth, Electress Palatine and Queen of Bohemia (1855; rev. edn. London: Methuen, 1909). Groenveld, S., De Winterkoning: Balling aan het Haagse hof (The Hague: Haags Historisch Museum, 2003). Hughes, Ann, and Julie Sanders, ‘Gender, Exile and The Hague Courts of Elizabeth, Queen of Bohemia and Mary, Princess of Orange in the 1650s’, in The Politics of Legitimacy from Marie de Médicis to Wilhelm II, ed. Philip Mansel and Torsten Riotte (Basingstoke: Palgrave Macmillan, 2011), pp. 44–65. Keblusek, Marika, ‘A divertissement of littleplays: theater aan de Haagse hoven van Elizabeth van Bohemen en Mary Stuart’, in Vermaak van de elite in de vroegmoderne tijd, edited by Jan de Jongste, Juliette Roding, and Boukje Thijs (Hilversum 1999), pp. 190–202. —, and Jori Zijlmans, eds, Princely Display: The Court of Frederik Hendrik of Orange and Amalia van Solms in The Hague (Zwolle/The Hague, 1997; tr. Vorstelijk Vertoon, 1997). Marshall, Rosalind K., The Winter Queen. The life of Elizabeth of Bohemia, 1596–1662 (Edinburgh: National Galleries of Scotland, 1998). Nelson, Karen L. ‘Negotiating Exile: Henrietta Maria, Elizabeth of Bohemia, and the Court of Charles I’, in ‘High and Mighty Queens’ of Early Modern England: Realities and Representations, ed. Carole Levin, Debra Barrett-Graves, and Jo Eldridge Carney (New York: Palgrave Macmillan, 2003), pp. 61–75. Oman, Carola, The Winter Queen: Elizabeth of Bohemia (1938; rev. edn. 1964; repr. London: Phoenix Press, 2000). Smart, Sara, and Mara R. Wade, eds, The Palatine Wedding of 1613: Protestant Alliance and Court Festival [Wolfenbütteler Abhandlungen zur Renaissanceforschung, 29] (Wiesbaden: Harrassowitz Verlag, 2013). Winkler, K., ‘Heidelberger Ballette, Musik und Tanz am kurpfälzischen Hof von Elizabeth Stuart und Friedrich V’, Musik in Baden Württemberg (2000): pp. 11–23. Wolf, Peter, Michael Henker, and Evamaria Brockhoff, et al., eds, Der Winterkönig Friedrich von der Pfalz. Bayern und Europa im Zeitalter des Dreissigjährigen Krieges (Augsburg: Haus der Bayerischen Geschichte, 2003). Ziegler, Georgianna, ‘Devising a Queen: Elizabeth Stuart’s Representation in the Emblematic Tradition’, Emblematica, 14 (2005): pp. 155–79. Akkerman, Nadine, ‘Ten Things you never knew about Elizabeth Stuart, “The Winter Queen”‘, blog post at OUP Blog, 11 November 2015. Women’s Early Modern Letters Online [WEMLO] project page. WEMLO network and resources hub.